What I have been doing lately when I have been a bit under the weather is go to my blog list and read a few of the blogs there and lo and behold I always manage to find something there to help me feel better. 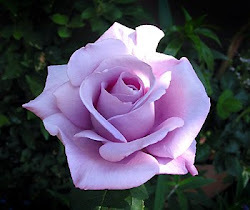 Tonight I found on Superior health awaits you, (superiorhealthawaitsyou.blogspot.com) three lovely relaxing video clips. Then I found my answer. Scorpiomoonrose, you are not meditating enough!!! I’ve been quick fixing you see. I have been getting by on short meditations or meditating at times that are really worse than useless. I must be practising meditation for over twenty years now. For about the last eight I have taken it a lot more seriously. I have learned some Qi Gong and have found the mediation in standing poses have brought me on leaps and bounds. I was always a tiny bit mercurial I suppose and I found that working with Qi Gong has calmed me down considerably. It hasn’t taken the edge off my tongue though; I still can be quite direct. I do a Qi Gong routine first thing every morning called the eight pieces of brocade followed by my mediation poses. At first the standing meditations were difficult. I found my mind wandering off but then I read somewhere that in order to calm and empty the mind when it wanders off, bring it back by simply counting to ten. Surprisingly enough it works. It does centre you. Also there is six poses in the series so having to change your stance helps to keep in the right zone. Where I have been falling back is on the longer meditations I use a few times a week in the evenings. I have some apps on my iPhone and I have some great C.D’s that I use. Most of the meditations are around half an hour long but they must be the shortest half hours in the week. What I have found with meditation practice is how in tune you become with the world around you. I found I noticed birds singing all the time. I would see maybe a leaf dancing in the breeze and I felt in that moment that I am part of everything in this world. The most noticeable was how much happier I am. Off the back of this I found the good relationships improved and the unhealthy ones were re evaluated. Some came to their natural end and others reached an understanding and shifted to a better place. The most important thing for me was a feeling that I am a free spirit, free to be myself and also free to change whenever I need to. I don’t need to accept anything as my lot. I can acknowledge that I have learned something new; I can take this new lesson on board and do what feels right with it. I started writing again as part of this process and I think it has helped so much with how I write and how I see as a writer. I also find that I can go to a deeper place to find what I need emotionally to build the character or the scene I am working on. In some ways I meditate on what I am trying to create and I have a more effective creative process than I had before. Sometimes I thought I didn’t know what I was going to write and by just centring I had a head full of words in no time at all. In this crazy world of ours and in times when the card game of life has dealt you a hand that could be better at least by meditating and having this time to yourself you can embrace the reassurance that when the cards are dealt again as they are throughout the days and weeks and seasons of this life the next hand is going to be a royal flush! And I may not have to slap my friend after all. Another great post. I keep saying I will get to Body Balance and then get too busy. I part I miss most is the relaxation and meditation at the end.